No, it's not some sexual deviation... Well, it could be. That is, if you get your jollies gazing at naked coins and such. 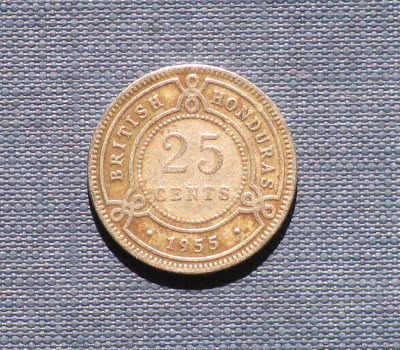 Anyway, what started this was about two weeks ago while we were walking the dogs, my neighbor, Doug, showed me a 'shilling' (twenty-five cent piece) with the old colonial 'British Honduras' on it. That was pretty cool and was the first British Honduras coinage either of us had seen. 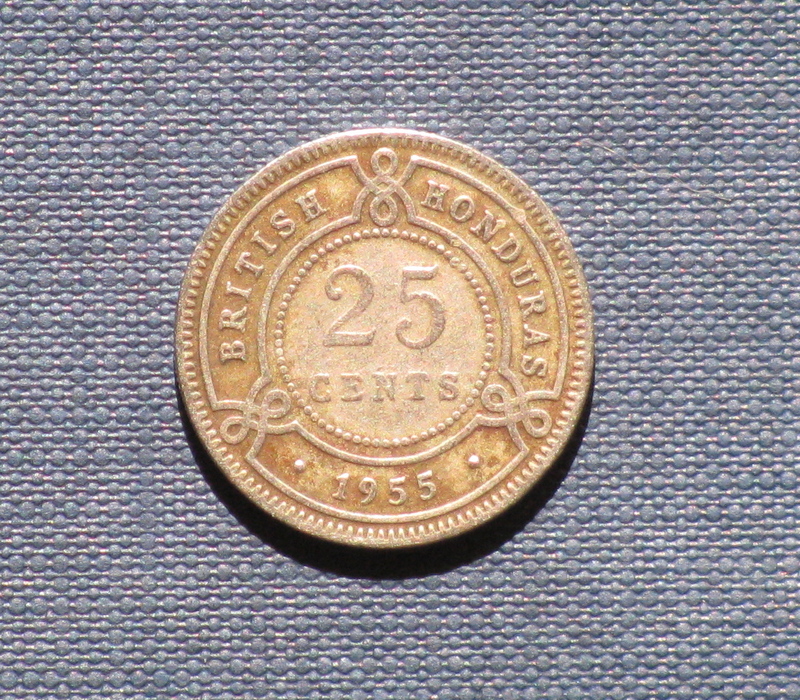 And then, about two days after that, I had gotten curious and had begun checking all the coins that passed through my grubby mits, when, all of a sudden, I found a British Honduras fifty cent piece. I showed this to Doug a couple of days ago. Wouldn't you know it - neither of us has seen any British Honduras coins since. Since then, in talking to the older gentleman who runs one of the vegetable stands at the market,he said that a few years ago, the government issued a round $2.00 coin. So, there's obviously some more oddball Belizean coinage for us to search for and find. If we do come up with anything, I'll post pictures of it, just to titillate our readers. My wife and I have shillings dated to our birth year that we wear on necklaces. Got lucky to find the right coins. Store owners look at me curiously when I examine the change they give me - so far I've found four marked British Honduras. Nice idea - if I can ever find the coins. You're right, you do get some strange looks when you check out the change. I'll keep hunting. Canada has a two dollar coin or "Toonie." They are everywhere. Makes our purses and pockets very heavy. I wonder why the GOB only made a few two dollar coins? I had no idea they exsisted. The two dollar coins must have gone bust down here as I don't think it was around long. They'd be lighter than a pocket full of one dollar coins anyway.